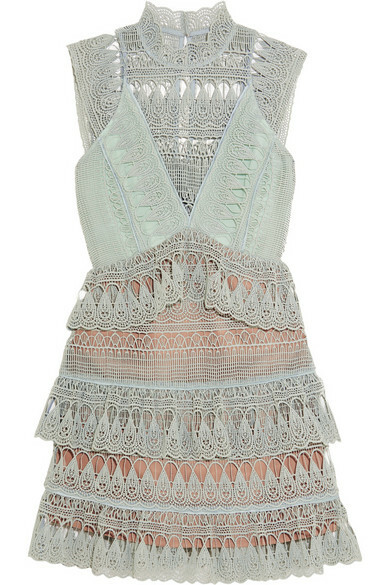 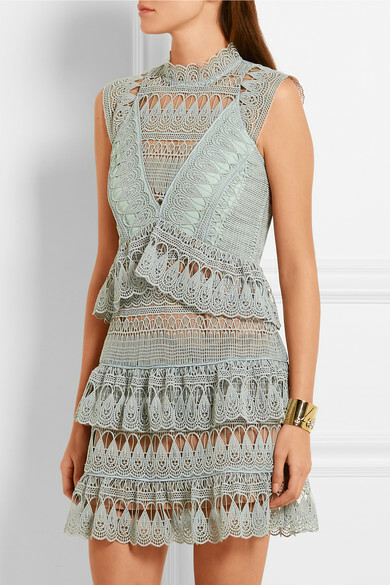 Self-Portrait’s pale-mint dress will work for a host of events this season, from wedding receptions to garden parties. 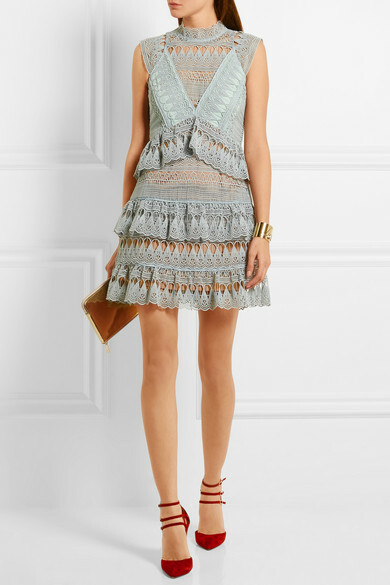 Crafted from the label’s signature geometric guipure lace, this Victoriana-inspired style has romantic scalloped trims and a playful tiered skirt. 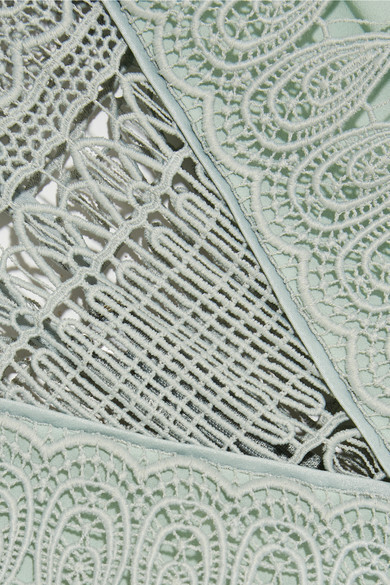 The sand mesh lining provides coverage and structure, too.